Set in the heart of the lush green Somerset countryside between the popular tourist centres of Wells and Cheddar, Honeyhurst Farm is situated in an idyllic location with lovely views over the Mendip Hills and the Somerset Levels. Open fields surround the Farm complex providing an idyllic private, quiet (with the odd ‘moo’ or ‘bah’) rural location. 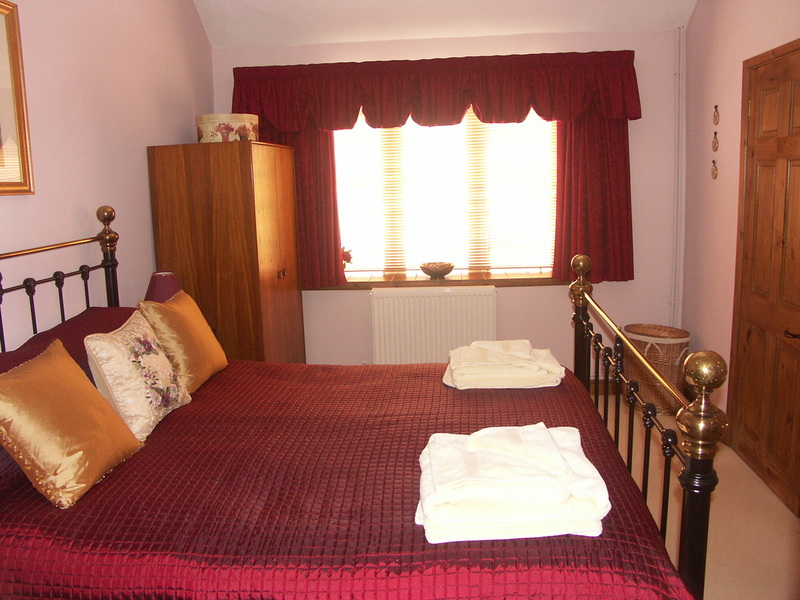 Prices are from £440 - £600 all inclusive, including heating, linen and towels. Open from April to the end of October. Bookings are Saturday to Saturday. The spacious, farm cottage offers 800 sq. ft. (75 sq. m) of living space and has been converted from a single storey stone farm building, formerly used as a cider store in bygone times. It has been equipped to a very high standard. The self catering accommodation sleeps four plus cot, in a double bedroom and a twin bedroom, with a lounge, large kitchen/dining room, shower over bath room, entrance porch and a small conservatory with french doors opening onto a south west facing sun terrace with charcoal barbecue, table and chairs. Well-behaved pets are welcome. Smoking on the property is not allowed. The cottage is situated in the (Royal Horticultural Society member) owners beautiful half acre part walled gardens with mature specimen trees, sweeping herbaceous borders, rockeries and lawns. The garden is open to the public in July as party of the National Garden Scheme. There is an adjacent accessible 4 acre traditional working cider apple orchard. Ample seating is provided to enjoy the gardens and views. A babbling brook runs through the property and is suitably fenced in the farmyard and rear garden to provide a relatively safe environment for children to play. PIR courtesy lighting is provided for walkways. Facilities include a large concrete off-road parking area suitable for several cars. Guests may freely use the garden and orchard for relaxation. 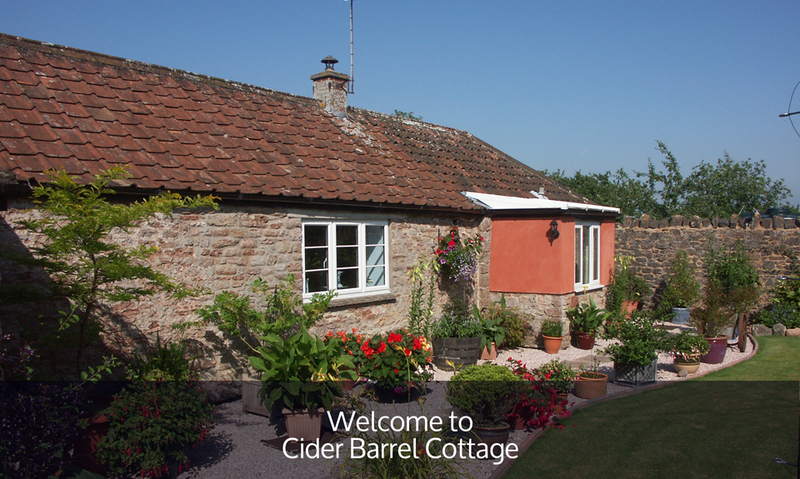 Cider Barrel Cottage is set on the fringe of villages Draycott and Rodney Stoke, in the very heart of Somerset. We are near large areas of outstanding natural beauty, beaches, stately homes, festivals of all sizes, nature reserves, golf courses, children's attractions and more. There is truly something for everyone.